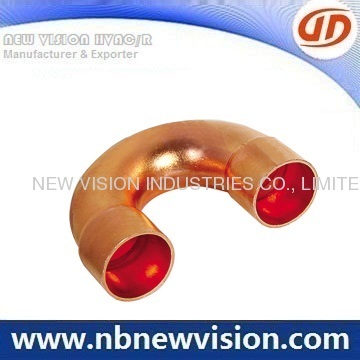 Range of ASME B16.22: 3/16" - 8 1/8"
Application: Air conditioner, refrigeration, water, gas & plumbing etc. Standard: ASTM, EN , JISH, GB/T , AS/NZS etc. Package: Packed in poly bags, then in carton box and in pallets. Remarks: The customized drawing and samples are also available. 1. Used for Air Conditioning and Refrigeration industry, like condenser, evaporator & fan coil etc. 2. Regular sizes for plumbing like diameter 10mm, 12mm, 15mm, 18mm, 22mm and 24mm etc available. 3. Made from TP2 as per ASTM Alloy C12200. 4. Design Standards - ANSI B16.22, Manufactured in an ISO 9001 certified facility. 5. Regular specifications for diameter 5.0mm, 6.25mm, 7.94mm, 9.52mm, 12.7mm and 15.88mm. 6. 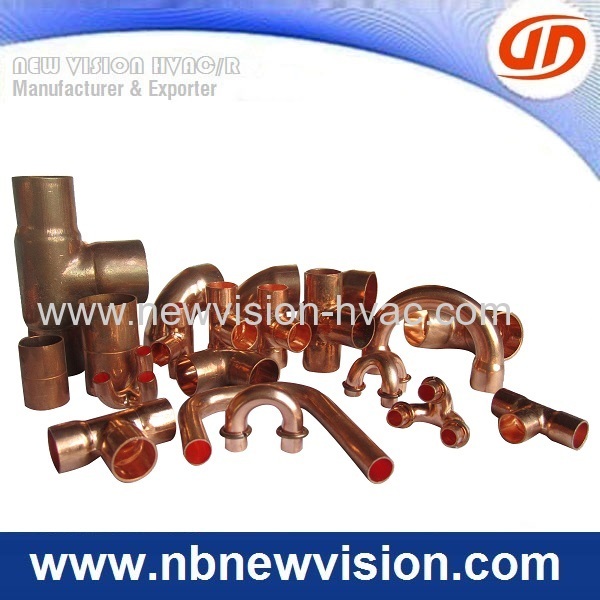 Application: Air conditioner, refrigeration, heat exchange & hvac etc. 7. Temper: Soft drawn, light soft drawn, hard, half hard. 8. Package: Packed in poly bags, then in carton box and in pallets. Copper return bend for plumbing used to extending two ends, regular sizes like 12MM, 15MM, 16MM etc, and other fittings for asme/en available as follows. 5/8" × 1/2 - 2 5/8" × 2 1/8"
4 1/8" × 4 1/8" × 1 1/8"
1/2", 5/8", 7/8", 1 1/8"
1/4" × 3/16" - 4 1/8" × 1 3/8"
1/4" × 3/16" - 4 1/8" × 2 5/8"
1/4" × 1" - 2 1/8" × 5 1/2"
10 × 1/4" - 108 × 4"
3/8" × 1/4" - 4 1/8×4"
15 × 1/2" - 22 × 3/4"
In case of more details about copper return bend & u bends, please feel free to contact us and available for OEM draiwing request.